Introducing the New MK VII Gen II.The best just got better. Expanding upon the success of the Mk VII Custom Rifle we are proud to introduce our latest version, the MK VII Gen II. Your choices include 2 barrel contours, long or short actions, and multiple barrel lengths up to 26". We are happy to offer the Mk VII Gen II in both right and left handed models for all action lengths. We have implemented a number of enhancements but without the high price tag of most custom rifles. Mk VII prices range from just $990 to $1,600 for a fully decked out rifle. Timney™ triggers and Warne™ bases available upon request. CUSTOMIZE YOUR MK. VII RIFLE WITH OUR ONLINE GUN BUILDER! All new stocks are a center part of Mk VII Gen II. They are redesigned with classic lines and boldly checkered grip panels. An all new military grade resin bonding ensures the laminates will not warp under any condition. All stocks come standard with Pachmayr recoil pads, as well as glass bedded and steel pillar bedded. Length of pull is standard 13.5". All Mk VII Rifles feed from an internal, blind box magazine. A brown layered look that shows off any barrel. Try polished stainless with blackened flutes to really turn heads. A distinctive gray that looks great with matte stainless and matte blued steel. Try a matte blued receiver and stainless barrel for a neat two toned look. A classic look for the range or in the field. Try high gloss bluing for a rich wood and steel look. Another upgrade new to the Gen II Mk VII is the introduction of our new teardrop bolt handles. 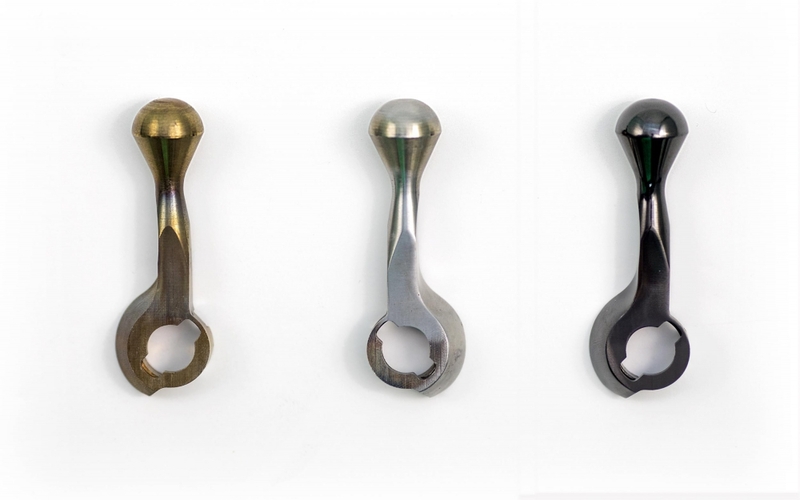 Starting from raw steel stock we carefully polish them down to a satin matte or polished finish. Right and left hand models are the same. The Mk VII Rifle comes standard with the AccuTrigger trigger system. Once in our facility, we triple hone all engagement surfaces for the "glass rod" feel. Three position safety lever is standard. An optional shrewd style muzzle brake can be installed to help reduce felt recoil by around 30%. 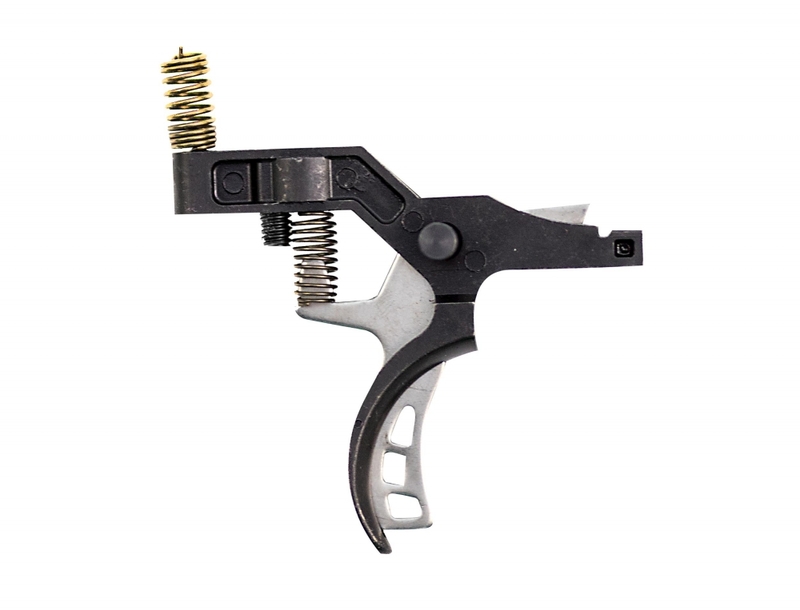 Our brakes are expertly blended as a semi-permanent unit to match the contour of your barrel. Brakes are threaded to the barrel and add about 2" to the length of the barrel. You can also have the muzzle threaded with no brake, thread protector included. With so many calibers to choose form, you are sure to find the rifle to fit you needs. Use the chart below to select the caliber & twist rate for your Shaw custom Mk. VII Rifle. Twist rates must correspond to the calibers listed. All barrels are 6 lands, right hand twist. Please refer to the icons in the caliber list to determine which twist rate can be used in your Mk VII Rifle. The number in the box corresponds to the number of inches per complete revolution. For example: 1-14 would mean that your Mk. VII Rifle caliber requires a twist rate of 1 in 14 inches. ** AVAILABLE IN SINGLE-SHOT, RIGHT HAND, STAINLESS RECEIVER ONLY.